India's rural population is mostly engaged in farming as source of income but they face many challenges to meet the lively hood. My experience spending time with them i understood there are 2 major hurdles which impacts their steady income. One is monsoon, with ground water source getting depleted over the years they depend on good monsoon to replenish the water table & help in irrigation. The other major hurdle is unable to get good price for there produce. small farmers do not have sufficient money, manpower, network or knowledge to market there produce to end customers, hence they dependent on middle man who procure it for less value from farmers. These issue with many other problems are pushing farmers to commit suicide/migrate to cities for job only due to economical situation they are into. To help farmers have a steady source of alternative income is our objective. Free range egg is being encouraged in many European & Western Countries for the birds are maintained more humane & better nutritious value in eggs compared to battery eggs. In India this trend is catching up slowly but surely with the ongoing organic movementum encouraged by our Honorable Prime Minister of India, Mr Narendra Modi. First Assam declaring complete organic state. Many other states are competing in this space. In many Indian super markets & online grocery stores we are already find various types of egg starting brown eggs, omega 3 rich eggs, cholesterol free eggs, free range eggs. Poultry egg market is huge with India ranking 3rd globally only after China & USA. 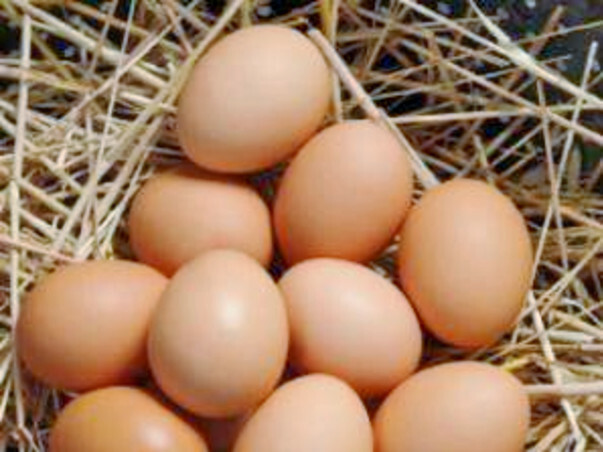 Egg is considered very good protein source even by many vegetarians. With our guidance the farmer can rear high egg yielding bird in free range method organically we are sure to succeed in creating a win win situation for our farmers & consumers. We are certified in poultry management by CPDO, Central Poultry Development Organization a Central Government Institute. We are raising money to procure day old chicks, manage one month brooding, vaccination & feed cost. After month birds would be distributed to farmers, who would be trained to handle them in terms of local feed, water management, disease management. Regular visit to farm will be made to study growth of birds. Post 5 months completion birds would start laying eggs which would be marketed by us through various sales channel paying 60-65% returns to farmer. Rest will be used for transportation, cleaning & packing, advertisement,branding, labour. It is an small attempt made to help the farmers who are considered backbone of India. success of this small scale initiative can give encouragement to make it large scale helping few thousand farmers in future. Break up of the cost.